Hockey is a very popular sport, and there are many bets that you make on the exciting game on the ice. The moneyline bet and totals bet are the two most popular bets for hockey, but there are many more. 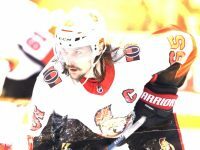 You want the biggest payout when you make a hockey bet, and you should look around at various top hockey sportsbooks to get the best odds possible. The odds will not change much, but getting the very best odds will give you the very best payout if you have a winning wager. The moneyline bet is the most popular bet for hockey. Unlike football or basketball there is no point spread to show the favorite or underdog, but in the moneyline, you are wagering on a team to win with inflated odds, which show the favorite and underdog. An example of a moneyline bet would be Penguins -170 vs. Flyers +150. In this example, the Penguins are the favorite denoted by &quot;-&quot; in front of the number, and the Flyers are the underdog indicated by the &quot;+.&quot; In using $100 to show the payout, you can wager however much you want; you will have to bet $170 to win $100 betting on the Penguins and bet $100 to win $150 betting on the Flyers. You can see the payout for the Flyers is better than the Penguins, because the Flyers are the underdog. The "totals bet" is not only popular but also very easy hockey bet to understand. The sportsbook will post a total number of goals for both teams to score in a game and you are betting over or under that amount. An example of a totals bet would be Rangers vs. Islanders 5 goals. If the game ends 4-2 Rangers the Over bet would be the winning one since the goals scored in the game was six goals. If the game ended 3-2, five goals were scored, which was the posted total, and you would get your original bet back. Many times the sportsbook will put a .5 after the totals, as with a 5.5 goal total there is no chance of a push bet since you obviously cannot score a half a goal. In the hockey puckline bet, you will be adding 1.5 goals to the underdog and taking away 1.5 goals from the favorite. The moneyline odds change when you do this, as, typically, the underdog becomes the favorite and the favorite becomes the underdog. If a puckline bet has the Rangers giving 1.5 goals vs. the Flyers they will have to win the game by at least two goals for the bet to be a winning one. Also, if you take the Flyers getting 1.5 goals and they still lose 4- 3, you will win the bet, as you add the .15 to the total so the final betting score would be Flyers 4.5 to Rangers 4. Other popular hockey bets that you can make are futures, propositions, and parlays. 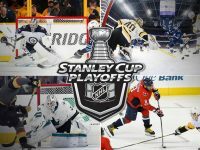 In a futures bet you are betting on the future outcome, and a couple of examples would be betting on what team will win the Stanley Cup or what team will win the Western Conference. In a hockey futures bet, you can get a good payout, and this is especially the case making a bet before the season begins. For example, if you bet on the Penguins to win the Stanley Cup at +500, you can win $5000 by putting $100 on them. You can make futures bet before and even during the season, but during the season the futures odds will change depending on how that team is doing. A proposition bet is also known as a prop bet, and the outcome of the game does not matter. There can be team and player prop bets and a couple of examples are will the L.A. Kings win more face-offs than the Ducks and will Sidney Crosby score a goal in a game. There are more prop bets available for the playoffs, and there are many available during the Stanley Cup. A parlay bet is several bets in one, as you can combine several bets in one bet using the moneyline and the total. A parlay bet is harder to win, as you have to win all the games it for the bet to be a winning one, but because of that the payout can be big and is bigger the more games you bet on. Hopefully, this gives you a basic introduction to betting on hockey. These are a few of the core bet types that will help you make more money betting on the NHL this season.